It's girl power day!! Rita Ora has just dropped her brand new single Girls with a famous cast of collaborators. 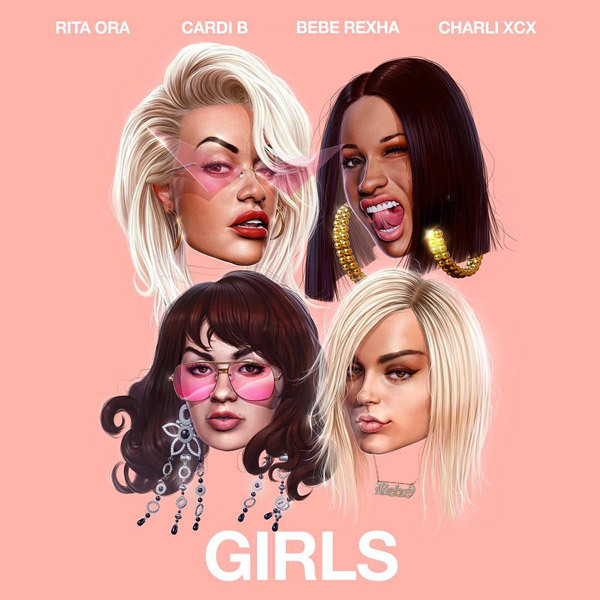 Featuring on the song we have Cardi B, Bebe Rexha and Charli XCX and the song is all about kissing girls and celebrating love. It's a fun pop song that explores sexuality and my favourite part is Cardi B's verse. Stream it below! These past few years I’ve been so inspired by all the strong women I’ve seen who aren’t afraid to be themselves. For those who aren’t afraid to rule the world, this is our anthem. A celebration of love. And of course, thank you to all the fellow boss women who so kindly graced this song with me — each representing who they are and where they are from. I hope you dance your socks off with us!